The first place to start is with your attitude if you want to see improvements to your body before the summer, it is going to take a strong will to succeed. The safest and most successful way to alter your body shape is by reducing your food intake and increasing your activity level. The next step is to get moving! If you ask your body to do more than it is used to doing, it will quickly adapt to accommodate the new demands. Strengthen and tone your muscles. Strong healthy muscles burn calories, so the bigger and stronger your muscles the more calories you will burn both whilst exercising and at rest. Aim to do 8-12 repetitions of strength toning exercises for your various muscle groups either in the gym or at home. The penultimate step to achieving your summer physique and benefiting inside and outside of your body, is ensuring that you have a nutritionally balanced diet that contains less calories than you require to maintain your body weight. 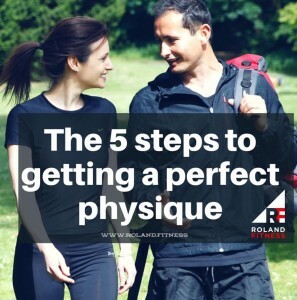 Finally, stay focused but don’t stress about getting the perfect beach body. It is better to focus on achieving all round health, wellness and fitness than a perfect body.